Qty. 1 2 3 4 5 6 7 8 9 10 11 12 13 14 15 16 17 18 19 20 21 22 23 24 25 26 27 28 29 30 31 32 33 34 35 36 37 38 39 40 41 42 43 44 45 46 47 48 49 50 51 52 53 54 55 56 57 58 59 60 61 62 63 64 65 66 67 68 69 70 71 72 73 74 75 76 77 78 79 80 81 82 83 84 85 86 87 88 89 90 91 92 93 94 95 96 97 98 99 $241.44 /ea. Please review Help Me Choose for info on RAID5 performance limitations of H310/H330 RAID controller. Please note the following restrictions: VMware does not yet support AF (Advanced Format) hard drives. AF drives are also labeled as 512e or 4Kn. 4Kn hard drives are only supported on Win 2012 or later using UEFI boot & some Linux distros. 512e hard drives are only supported with Win2008R2 or greater & some Linux distros. Qty. 1 2 3 4 5 6 7 8 9 10 11 12 13 14 15 16 17 18 19 20 21 22 23 24 25 26 27 28 29 30 31 32 33 34 35 36 37 38 39 40 41 42 43 44 45 46 47 48 49 50 51 52 53 54 55 56 57 58 59 60 61 62 63 64 65 66 67 68 69 70 71 72 73 74 75 76 77 78 79 80 81 82 83 84 85 86 87 88 89 90 91 92 93 94 95 96 97 98 99 $149.24 /ea. Ubuntu Advantage includes additional drivers, security, and livepatch services, Landscape systems management, knowledge-base access, legal assurance, and support backed by the experts at Canonical. Get the most out of your investment and reduce IT complexity with the support expertise Dell is known for across the globe. Flash storage anywhere, or everywhere: New flash-capable configurations mean fast data access for faster applications performance. Configurations include 1.8" SATA SSDs, 12Gb SAS SSDs and ultra-high-performance NVMe Express Flash PCIe drives. 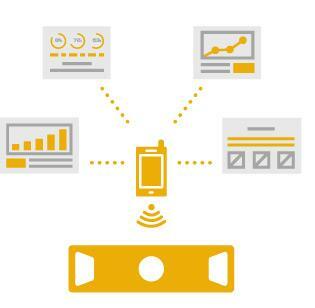 Flexibly leverage SSDs to maximize application performance. With flexible zoning and dual PERC cards, you can now flexibly leverage SSDs to maximize performance in 4 SSDs + 20 HDDs, 8 SSDs + 16 HDDs or 12 SSDs + 12 HDDs. Enhance database performance by using flash drives to cache "hot" data, while simultaneously having up to 48TB* of server-based storage with NL-SAS/SATA HDDs. Increase concurrent usage and system response for OLTP applications by combining NVMe drives and Dell caching solutions. Provide efficient, high-performance scale-out storage for IT-as-a-service (XaaS) providers, Big Data (Hadoop) users and co-location hosting by combining traditional hard drives and solid-state flash drives to ensure data is where it's needed, when it's needed. 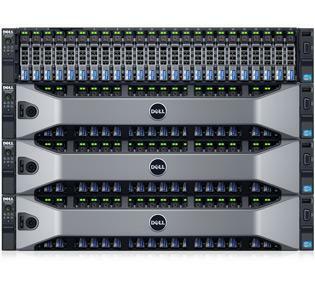 The PowerEdge R730xd with improved networking throughput and the latest Intel® Xeon® processor E5-2600 v4 product family delivers the performance necessary for your SharePoint, Lync, Exchange and consolidated collaboration environments. Enable more, bigger and lower-cost mailboxes with 33 percent greater storage drive capacity than previous generations. 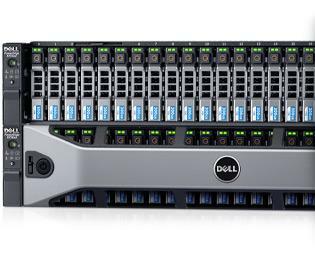 Improve response times with up to 15 percent greater memory bandwidth than earlier generations and help increase IO performance with the customizable throughput of Dell Select Network Adapters. Enhance overall Exchange performance with 12Gb PERC9 RAID controllers, featuring double the cache and throughput over previous generations. Optimize Lync performance and responsiveness in virtual environments by directly mapping more VMs to the increased number of physical processor cores. Lifecycle Controller provides deployment, update and support automation on demand to maximize data center efficiency and can automatically inventory, monitor and update any new Dell PowerEdge system added to the data center. It includes managed and persistent onboard storage that, when combined with its systems management capabilities, eliminates the need for traditional media-based system management tools and utilities.